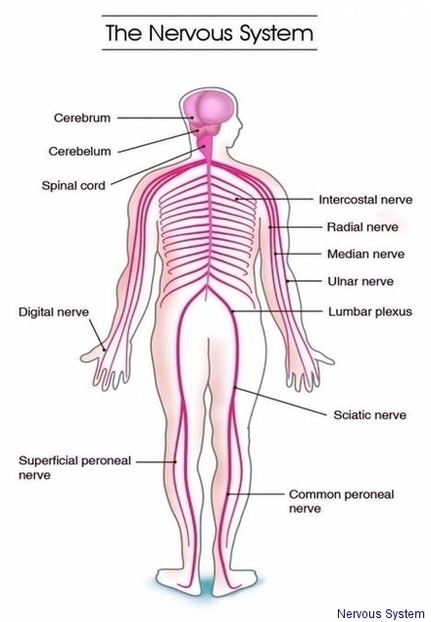 Nervous System Nervous system diagram showing various nerves in the human body including sciatic nerve, lumbar plexus, ulnar nerve, etc. - Diagram - Chart - Human body anatomy diagrams and charts with labels. This diagram depicts Nervous System. Human anatomy diagrams show internal organs, cells, systems, conditions, symptoms and sickness information and/or tips for healthy living. This entry was posted in Diagrams, Internal Organs and tagged nerve anatomy, nervous system, nervous system diagram by admin. Bookmark the permalink.